Join us Wednesday, February 13th at 7pm to learn about Leadership and Diversity with Mark Weir. The workship will take place in the University Center, Hurd Rm. 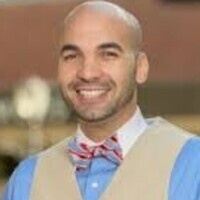 Mark Weir is the Assistant Director of Equity and Inclusion at Carlow University, and has worked in Diversity and Multicultural Affairs in Higher Education for over 10 years. If you want to be better prepared for a diverse, global workforce, community, and team; Mark will aid you in this process! Freshman can earn a Cultural Point.